Find out how Dr. Alisa Kauffman is changing dental care for seniors for the better! Is it proving difficult to find compassionate dental care for seniors? Are you facing an uphill climb in getting your loved one adequate care? In this day and age, that simply shouldn’t be the case! Not so long ago, it was hard to find proper, adequate, compassionate dental care for the aging, especially for those who were homebound or suffered from an illness or disease such as Alzheimer’s or Dementia. But, Dr. Alisa Kauffman of Geriatric House Call Dentistry is changing the face and metrics of geriatric dental care. As a frontrunner in the industry, she brings the office to you! Bringing the Office to the Patient. Because Dr. Kauffman is dedicated to making the experience for your loved one the best case scenario, she is committed to bringing compassionate, trustworthy, and quality care right to her patient’s living room. She can perform procedures and treatments from routine checkups to emergency extractions right in the comfort of their familiar surroundings. Dr. Kauffman is well trained and has a heart for the most vulnerable older patients. Her heart and genuine compassion are evident from the moment she walks through the door. In-Home Procedures and Treatments. Dr. Kauffman provides an impressive list of in-home treatments and procedures ranging from second opinions, bite guards, and routine check-ups to emergency visits and extractions. Because geriatric patients cannot tolerate the drill very well, Dr. Kauffman employs the use of silver diamine fluoride as a tooth desensitizer. It’s an antimicrobial liquid that the Food and Drug Administration deemed safe which can painlessly be brushed on cavities to stop tooth decay. No drill means less stress and fear in dental treatments for the elderly. Compassion. More than anything, a gentle touch, along with a caring, compassionate heart will go further in calming the most unsettled of patients. Dr. Kauffman has been trained extensively and is very well versed in handling the most delicate situations. She wants nothing more than for your loved one to feel safe and secure in knowing and trusting that she will do a job well done. With great pride and a profound respect, Dr. Kauffman will deliver unequaled and unparalleled care for her patients. It’s easy to see why she was named one of the country’s top 25 dentists! Providing compassionate and trustworthy geriatric dental care has been Dr. Kauffman’s life work. If you’ve been searching for someone who knows how to provide your loved one with proper and proficient dental care, give her a call today at (917)826-6278. You will find out straight away how Dr. Alisa Kauffman is changing dental care for seniors for the better! It May Be Time To Fix Loose Dentures! 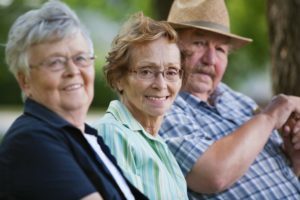 Are loose dentures causing difficulties for your aging parent or loved one? Did you know that loose dentures could possibly trigger some serious stomach and digestive issues? A huge indicator that it may be time to fix loose dentures is when you notice the dentures slipping or falling down when your loved one is talking or eating. Because of the inevitable aging process, the shape of our faces and mouths change due to the loss of bone and muscle structure. This structural deterioration of the jawbone can cause the dentures to not fit correctly. Even a little weight loss can affect how dentures fit. Ill-fitting dentures can cause a myriad of difficulties such as pain, poor nutrition, and discomfort. 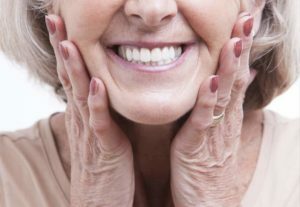 Dr. Alisa Kauffman of Geriatric House Call Dentistry can help with a much-needed denture repair. Having to fix loose dentures in the past was a terrible ordeal, especially for older vulnerable patients. Tougher still, on the patients who suffered from Alzheimer’s or dementia. Not so with Dr. Kauffman. She will bring the dentist office to your loved one! Because she brings the office bedside, denture adjustment or repair is much easier and less stressful for a patient who may already be in an elevated state of fear. Gum Damage. After frequent wear, the gum area on the dentures will eventually begin to wear off, causing them to thin, thus rendering the dentures unusable should they tear or break. If you notice this happening to the dentures, it’s a good idea to call the dentist as soon as possible. Weight Loss. A not-so-obvious sign is when the denture wearer loses weight. Because of the weight loss gums can shrink causing the dentures to become loose and slip. It’s been said that if the weight loss is more than 30 lbs, then the dentures should be adjusted, but really, a weight loss of even 10 lbs could constitute a denture adjustment. You can watch a helpful and informative video about denture care here. Broken, Chipped, or Missing Teeth. This is an obvious one. If you see that the dentures are in clear need of repair DO NOT try to attempt to repair it yourself! Many people think that they can just super glue the pieces back together. This is not a wise solution seeing as how the glue can have harmful and even poisonous chemicals in it. The denture repair must be handled by a professional in order to ensure proper care and best practices are obtained. If you find that you’re needing to fix loose dentures for your aging loved one, why not give Dr. Kauffman, one of the top 25 dentists in the country, a call. She is the best in the business! Her compassion and passion shine through. It’s easy to see why she is the most trusted geriatric dentist in NYC. Give her a call at (917)826-6278 to ask any questions or share any concerns you may have. She will get your loved one set up with some new, or good-as-new, dentures in no time!